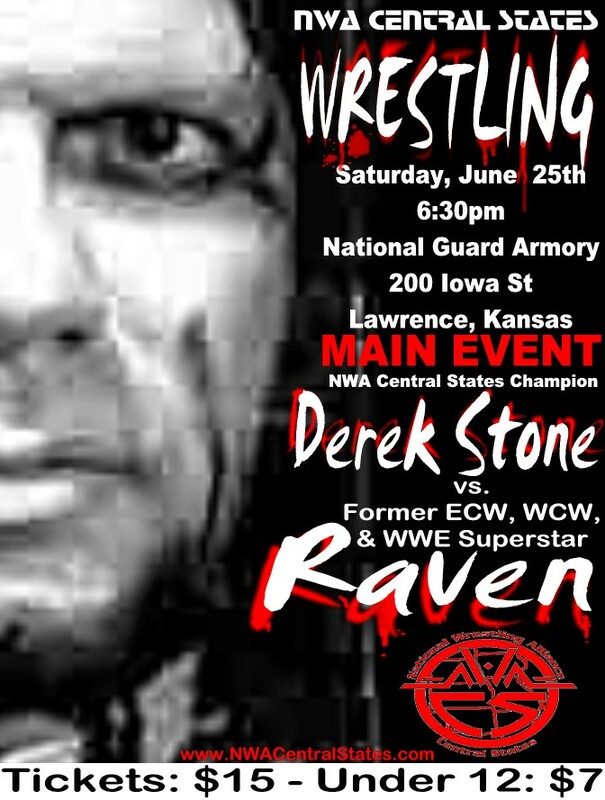 Anything Goes No Disqualification Match for the NWA Kansas Title: NWA Missouri Champion Abyss w/ Spookshow vs. NWA Kansas Champion Mark Sterling w/ Ginger Gordon ended in a No Contest after 2 referees were knocked out and there was confusion over their conflicting decisions when they came to. Afterwards, Abyss brought out the thumbtacks which were only teased during the match and delivered the black hole slam to Sterling on them. This brought out CSW owner Joe McDonald who fired both Abyss & Spookshow, only to have Sterling ask for one more match with the monster Abyss. 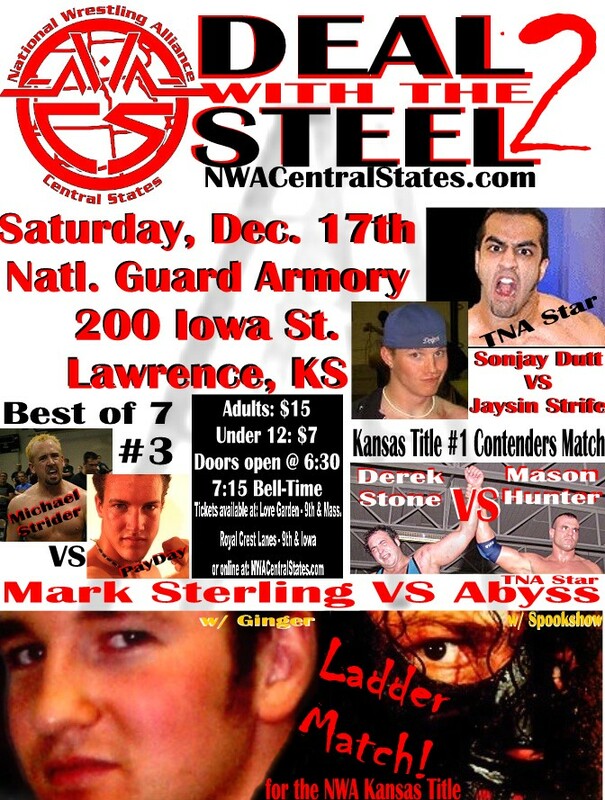 A Ladder Match was set up for December 17th's "Deal with the Steel II" between Sterling and Abyss but only after Spookshow insisted that the only title on the line would be Sterling's NWA Kansas Title and not the NWA Missourri championship held by Abyss. 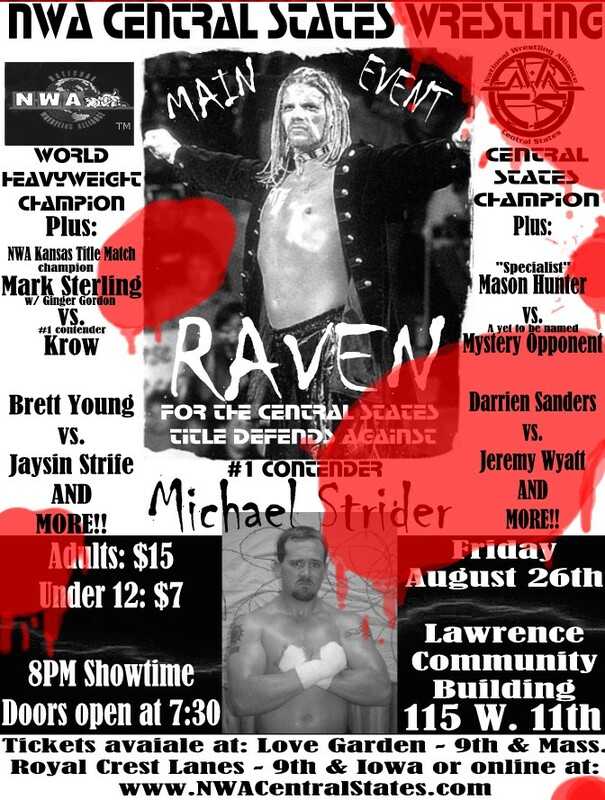 Abyss w/ Spookshow defeated (in his first match) Tyler Cook w/ Mark Sterling and Ginger Gordon for the NWA Missouri Heavyweight Championship! Fans! 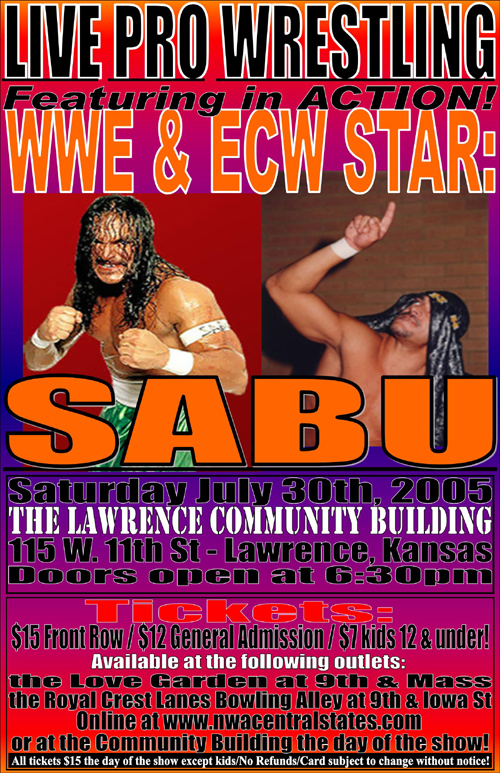 Please note that this is a Friday night show with a 8pm belltime! 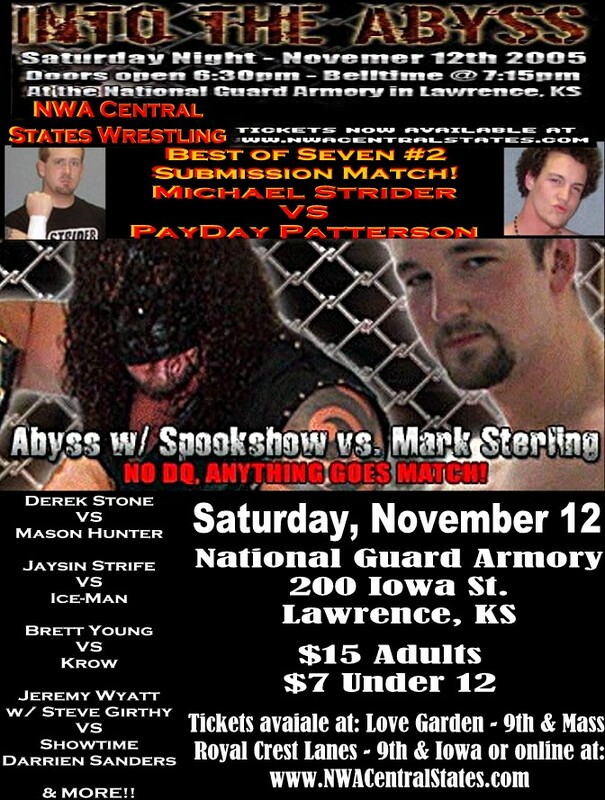 For the NWA World Heavyweight Championship! Making his return to ACTIVE wrestling! Mason Hunter will meet a member of Project Aggression to be named. 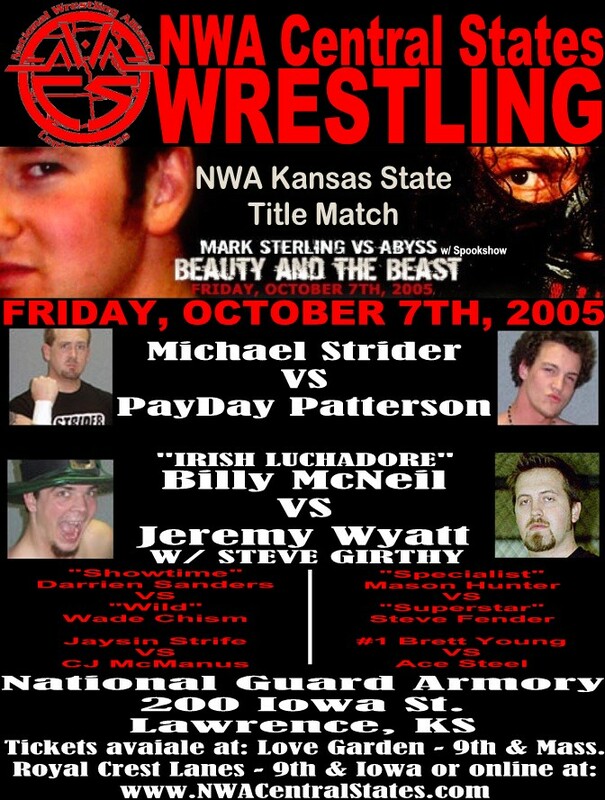 - Commissioner Mason Hunter interviewed Payday Patterson, but was interrupted by Michael Strider and Steve Fender, who attacked Payday and tried to damage his already-injured leg. >>> Sat., February 12: NWA-MRW - "Freezing Point"
No content from this site (photos, text, logos, etc.) may be used without written consent.